Evan and I went to a Teenage Bottlerocket show in Laramie while I was out there for Christmas with the family. During the show, they filmed part of their new music video for In The Basement off of their new album, Warning Device. When they show the crowd shots, I’m on the far left and Evan is behind me (he has a beard and glasses). 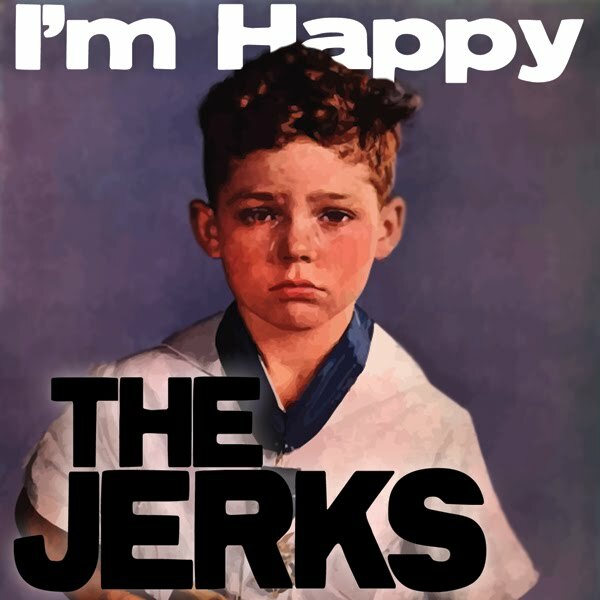 In other news, I’ve finished the artwork for the new Jerks CD EP. I really like it and think it’s some of the best album artwork I’ve done. I tried to keep it really simple, and I think it worked. We’re having them printed professionally, and we should also have our t-shirts made by the end of the week. We’ll have stuff to sell at our show in Georgia on the 16th. Also, there’s a chance (which I’ve been told is about 98% confirmed) that we’re going to play a show with Teenage Bottlerocket and the Copyrights. They’re two amazing bands and basically what I’ve been listening to nonstop for the last few months. It’s supposed to get up to 70 degrees here today. I can’t wait to go on a run. Last of all, I’m capturing all of the video from my drive last Tuesday. I should hopefully have this edited and up for you to watch by this weekend.